I was very excited to get a chance to read Mother of the Believers: A Novel of the Birth of Islam, the first book by screenwriter Kamran Pasha. When I read Salman Rushdie's The Satanic Verses last year, I became familiar with many of the names associated with the founding of Islam but the stories were exaggerated and twisted so I didn't get a good sense of the true history. 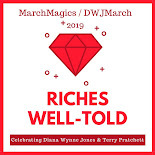 Mother of the Believers is a novel and thus is partially fictionalized but it is based in the oral histories passed down through generations of Muslims and the history and characters are factual. "Mother of the Believers" was the honorific title given to any of the wives of the prophet Muhammad. This narrative is the history and confession of the most beloved of the Mothers, Aisha. She married the prophet when she was only nine years old and she was his third wife. He ended up with many wives as he kept marrying widows that needed protection or women that were politically significant to the growth of the fledgling religion. Much of Aisha's story deals with her feelings while being a child bride and the mistakes that she makes in her life based on her youthful temper and her teenage jealousies. She was extremely beautiful but also somewhat impulsive and her outbursts would sometimes get her in trouble or embarrass Muhammad or the other Mothers. Regardless of these things, I think that most readers will fall in love with Aisha the way that her father and mother, her sister, her husband and many more did. I normally don't recommend books because I think that tastes are highly subjective and individual but I think this book is a must read for people of all faiths and those of little or no faith. In our world today, Islam is so often misunderstood that it would be very productive for more people to familiarize themselves with its origins and its core beliefs. And while you would send someone to the New Testament to gain an understanding of Christianity, I have found the Qur'an to be a difficult entry point to Islam. This writing in this novel is very fluid and engaging and the reader will be familiar with the origins of Islam with little effort. If you would like to read the Qur'an or any biographies of Muhammad, the author also generously provides a list of sources as an Author's Note in the book. 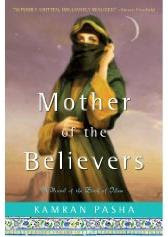 Buy Mother of the Believers: A Novel of the Birth of Islam on Amazon or find it at your local library. Eva - I know! They're "gateway" books. The worst part though is what happens to your TBR pile after getting interested in a new event or time period.